Like I said in the previous post, this is a book I had already read in high school, mostly because I couldn't resist reading a novel by someone named Wilkie. I definitely had to read up on this on again since the plot was ridiculously complicated at the time, let alone years later. While this is probably worth a read, it is certainly not the best Collins book. I am getting stressed out just thinking of explaining this, but I will do my best. Walter Hartright is hired as a drawing master for the Limmeridge household. His pupils are Laura Fairlie, whom he falls in love with, and Marian, Laura's half-sister and resident third wheel. Unfortunately, Laura is already engaged to the evil Sir Glyde Percival. Oh yeah, and there is a woman walking around in white who looks like Laura and just escaped from an asylum. It's less creepy than it sounds, unfortunately. This is one of the first instances of detective fiction and let's just say the art has been refined since then. I really don't think a detective novel should be upwards of 300 pages. The Woman in White is around 700 pages which is frankly ridiculous. Collins seems to be trying to mash the romance and detective genre together but doesn't seem to be giving enough attention to either. If you are going to make me read 700+, at least leave me satisfied. Commercially successful, but panned by critics. 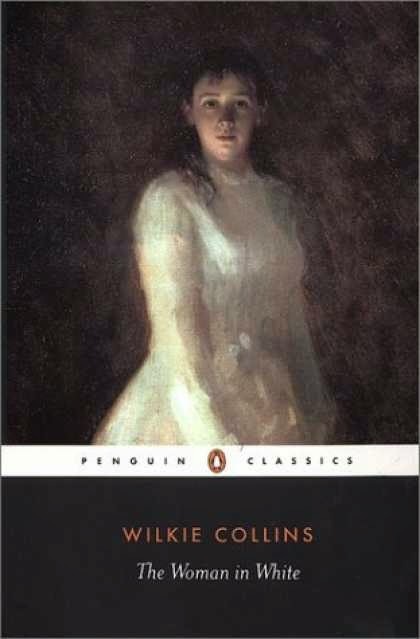 Wilkie Collins considered this his best novel. I agree with you on the length of the book - a mystery should be shorter. Nevertheless, I really enjoyed it! It has an evil Italian man (Count?) and a daring, rooftop parkourist lady in it! Haha true. I enjoyed it too; it was just hard not to compare it to better mystery novels, particularly The Moonstone.